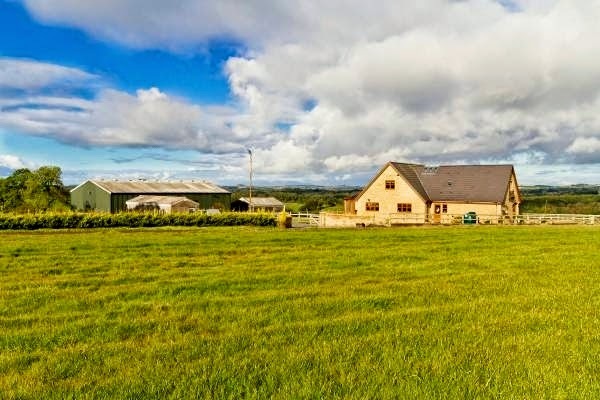 Leading independent Scottish property consultancy CKD Galbraith is offering for sale Merkland House, by Mauchline, Ayrshire, a contemporary country house with excellent equestrian facilities and approximately four acres of grazing land. The property was built in 2007 and occupies a beautiful, slightly elevated, rural site with open outlooks and uninterrupted views. Visually, Merkland is a striking house with the warm hues of the natural stone contrasting against the rural backdrop. Internally the property is equally impressive. Oak flooring and solid oak doors set the tone and the well-proportioned rooms are planned in a practical layout. The formal living room has double aspect windows overlooking the surrounding countryside and French doors which open to a paved terrace. The kitchen is undoubtedly the heart of the home. 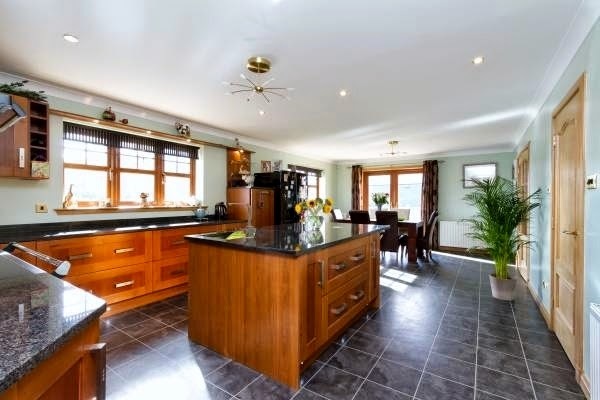 Modern wall and base units are complemented with granite worktops and a traditional rangemaster stove. The room is open to a dining area with French doors which open out to an elevated terrace – the perfect spot for breakfast in summer. The utility room lies off the kitchen with a door to the rear. A shower room off the utility room saves muddy feet trailing through the house! The family room lies adjacent to the kitchen and is accessed from both the hallway and the dining area. A log burning stove makes the room feel cosy. 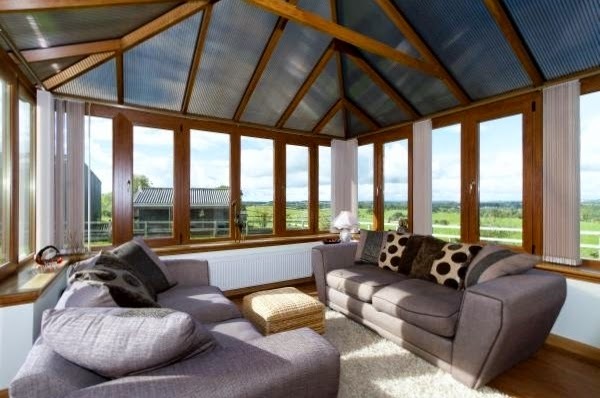 The conservatory is accessed from the family room. Three good-sized bedrooms are on the first floor. All the rooms have excellent storage and in addition the master bedroom has an ensuite bathroom. The attention to detail continues outside Merkland House and offers excellent scope for further development. A purpose built portal framed shed is equipped with seven IAE loose boxes all supplied with automatic water and power. There is also a tack room, feed room and WC. An all-weather riding arena lies adjacent to the stabling and is flood lit. A separate outbuilding has planning permission for a cattery and there are kennels equipped with three dog runs and a preparation area. A chicken coop is situated within the garden. The land of Merkland House extends to approximately 4 acres and is well fenced. 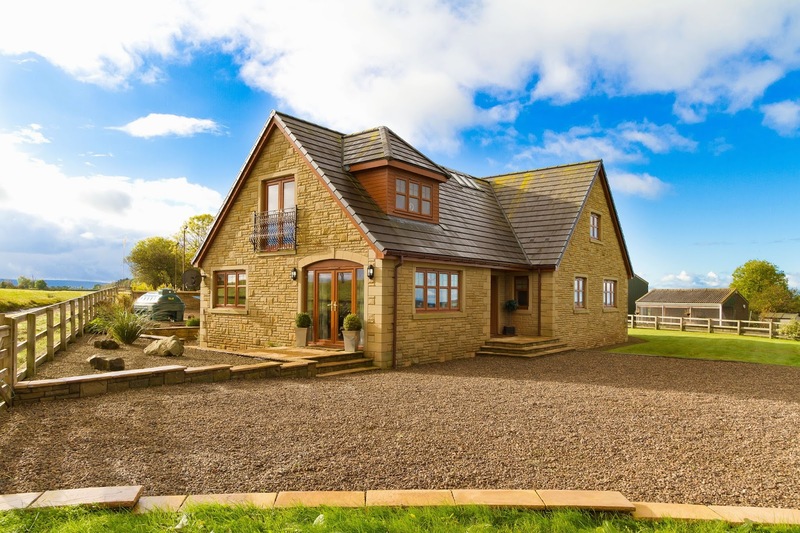 Merkland House offers the complete rural package and, if there is any time left to work, it is just under a one hour drive to Glasgow city centre. Offers Over of £475,000 are being sought.